The All Res. J. Biol have published a new issue. As an Editor in Chief, I would like first to thanks all the authors who have submitted their manuscripts to our journal. This has been a positive and encouraging sign for us to continue working and publishing good quality work focused on negative results. Our immediate goal at The All Res. J. Biol is to provide scientists with responsible and balanced information in order to advance faster, improve experimental designs and clinical decisions. Publishing negative results ensures that finite research resources are better used, avoiding replication of previous experiments and leading to a more efficient use of resources. During the first semester of 2012 we have received almost twice as many submissions as during the same period of 2011, while at the same time, increasing the number of rejections. Our policy of only publishing peer-reviewed work ensures a good quality control standard for the journal. For publication, experiments have to be rigorously conducted and repeatable. Works that showed significant flaws in scientific methodology or inconsistent presentation of results were not even submitted for peer-review. Manuscripts that carefully review the possible reasons for negative results in the discussion section have generally been positively evaluated and submitted to external peer-review. Here, the work of our expert reviewers (volunteers) has been essential and, for that, I would also like to thanks them for their dedication and valuable insights they have brought to this journal and for the improvements to the articles that we publish. 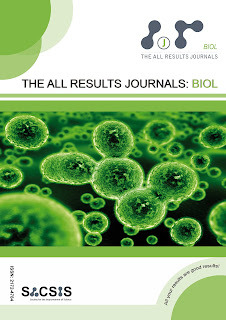 We encourage new submissions from researchers from all Biology disciplines and look forward to publishing good quality work within the scope of our journal. Please visit our last issue here.